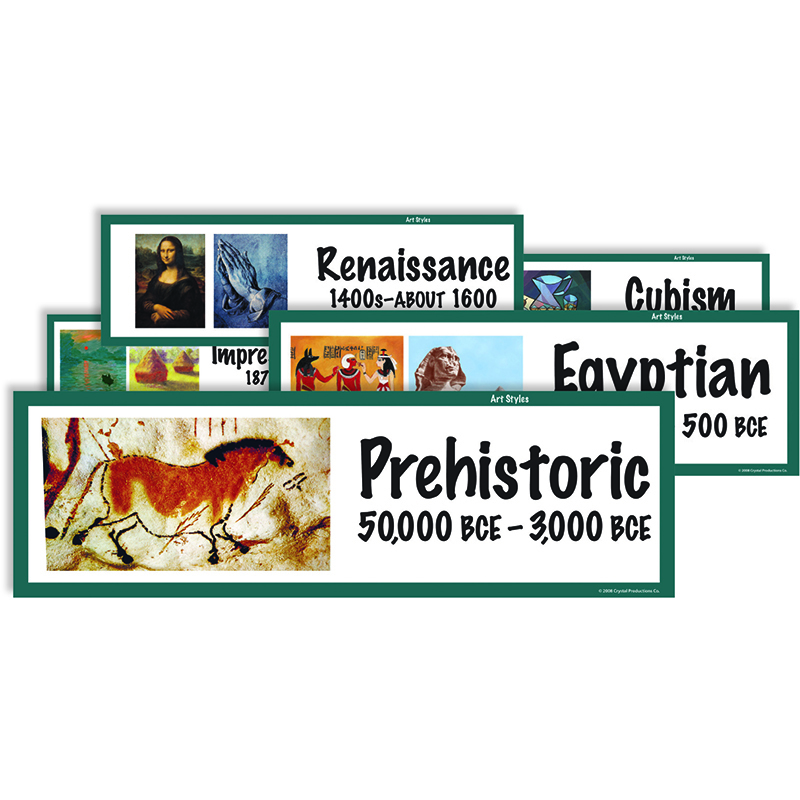 This set of 32 cards introduces students to major art styles throughout history, from prehistoric art to the present. The cards are printed in full color on durable cardstock and scored so they can be folded and used as flash cards, or they can be passed around the room or displayed. Major art styles shown include Prehistoric, Egyptian, Greek, Roman, Gothic, Renaissance, Realism, Impressionism, Fauvism, Expressionism, Cubism, Surrealism, Abstract Expressionism, Regionalism, Pop Art, and Op Art. Set of 32 cards, 18 x 6 inches.